Together we are family at Village at Belmar senior living. As a part of the team, you help create a bright and joyful community of residents, extended family, and senior living management. The beautiful city of Lakewood, just outside of Denver’s metropolitan center, is our scenic home base for Village at Belmar’s fresh take on senior living. Our community is a beautiful and rewarding place to build your career. Thank you for your interest in working with us. Please contact us for available job opportunities that meet your criteria. Give your career focus. At Village at Belmar senior living, we direct our talents, resources, and energies toward building a lively, energetic community where seniors feel welcome and at home. As part of our team, you will have the opportunity to work closely with residents to support them in their choice to live independently. 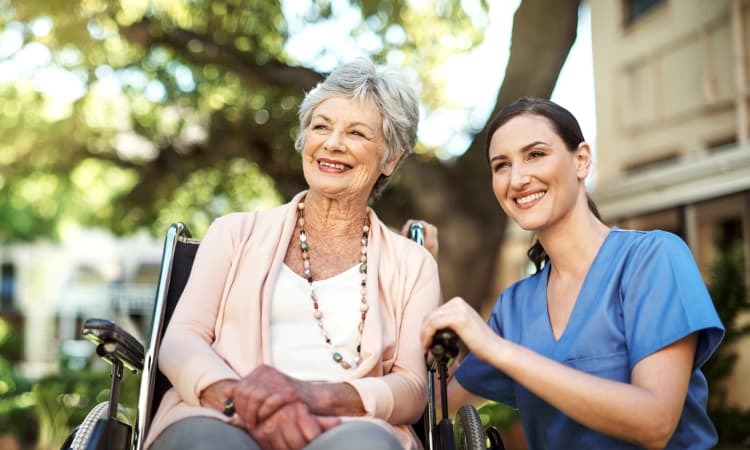 Our staff plays a key role in our success, happiness, and well-being of our residents. Because we know we are all in this together, our executive team stays close and keeps their doors open. Think a career with Village at Belmar is for you? The staff are just amazing and very friendly. They go out of their way and are servant-hearted. They even help with technology and computer issues.